Home | Health & Living | Alternatives to Traditional Wire Braces for Adults: Will Any of These Work for You? Having the perfect smile is the dream of many people. Unfortunately, not everyone is born with well-aligned teeth. Fortunately, advances in orthodontics allow practitioners to use various methods to correct teeth alignment and address various bite issues. 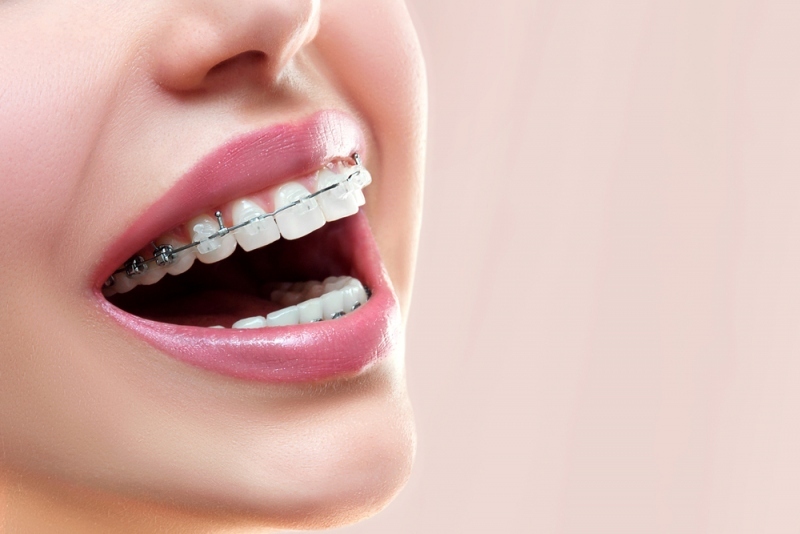 Wearing traditional wire braces is usually more advisable when the patient is still a teen. However, not many have the financial resources to get braces while still young, so they end up waiting until they are adults to have the opportunity to get orthodontic treatment. While wearing traditional wire braces is quite effective, the treatment process is long and often painful. Many adult patients often hesitate to wear unsightly wire brackets for an extended period. Are there alternatives to wire brackets which can give the same result as traditional wire braces? Here are three possible options orthodontists typically offer to adult patients. Clear braces are the first option that comes to mind when a patient does not want to experience the discomfort of wearing visible wire brackets. While Invisalign is a well-known brand of clear braces, many orthodontists have orthodontic supplies similar to Invisalign but which have a different brand name. This treatment involves wearing a clear tray over the teeth for around 20 to 22 hours every day. Depending on the advice of the dentist, a new tray replaces the old tray every two weeks or so. Clear braces are effective in correcting cosmetic problems but is not an effective method to treat bite issues. One excellent alternative which adults can consider for correcting teeth alignment is incognito braces. Instead of metal brackets fixed in front of the teeth, an incognito brace is placed at the back making it invisible. Many of those who choose this treatment method are concerned that traditional wire brackets will damage the front of their teeth. This option is also popular for individuals who play woodwind instruments. A Damon brace is another alternative to traditional braces which has a more discreet appearance. Orthodontists typically consider this type of treatment when clear braces like Invisalign are not an ideal method. In many ways, a Damon brace is similar to traditional wire braces, but the system uses archwires that are not fixed as well as clear brackets. The sliding movement mechanism of Damon braces reduces patient discomfort and speeds up the treatment process. The corrective capability of a Damon brace is also better than clear braces. These alternatives to traditional wire braces are worth looking into if you are in the process of getting orthodontic treatment. Nevertheless, you need to trust the advice of your dentist because each of these alternatives has advantages and disadvantages. Every patient has different needs regarding the best possible treatment to give them a perfect smile. Depending on your condition, there is always one type of treatment which is the best course to take to achieve the best results. As such, your dentist is the best person to recommend if you are a candidate for any of these alternatives to traditional wire braces. What Can Immigration Lawyers Do for You?